Portugal are through to the EURO 2016 knockout stages, but as surprising as it may sound, they've ended up doing it without winning a single game in the tournament. 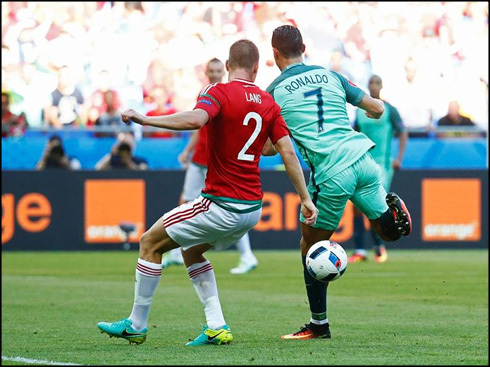 Today, they tied 3-3 with Hungary in Lyon, with two goals scored by Cristiano Ronaldo and one by Nani. Today's six-goal thriller in Lyon may very well go down as the best game of the tournament, as both teams put on a show while also securing their qualification to the next round. 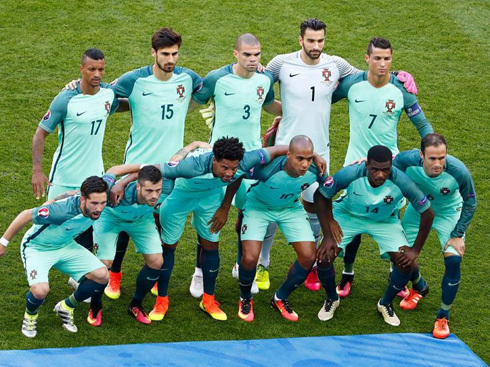 For Portugal, the group stage has ended in a third-placed finish and while that will be disappointing considering they were heading out of the tournament at various times during the match, it's a result I'm sure they'll be happy with. Cristiano Ronaldo finally had his breakout game, with a brilliant assist and two goals to bring Portugal back both times. For Hungary, Zoltan Gera and Balazs Dzsudzsak were the scorers, with Dzsudzsak himself scoring on two deflected goals. Gera's finish however, which put Hungary up early in the game, was nothing less than fantastic. But the headlines will undoubtedly revolve around Ronaldo, who finally shut up his critics with a World Class performance. An assist in the first half was enough for Nani to net his second of the tournament. Then, after Hungary took a 2-1 lead, the Real Madrid forward struck again with a stunning backheel from a João Mário cross. Running onto the ball in the box, CR7 brilliantly flicked the ball into the corner of the net. Seemingly moved by scoring his first goal of the tournament. But disaster would strike soon after, with another deflected Hungary goal. 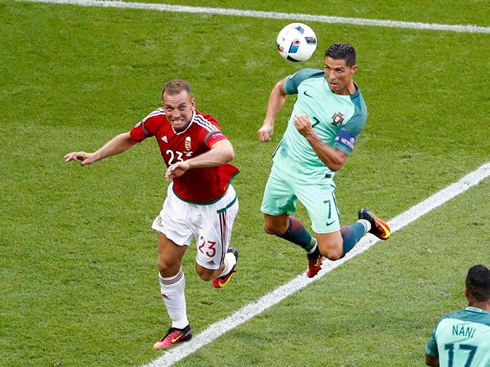 Not long after, Ronaldo would answer the call again, this time with a header in the box. 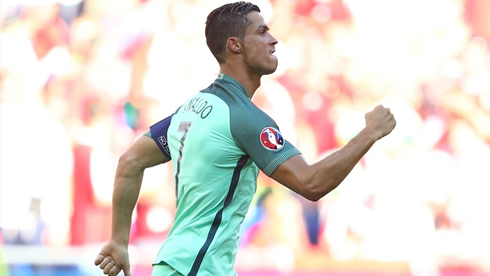 Two goals for him and Portugal were now level. A late goal in the other match between Iceland and Austria meant that Portugal finished 3rd in the group, which means they'll be facing Croatia in three days time. 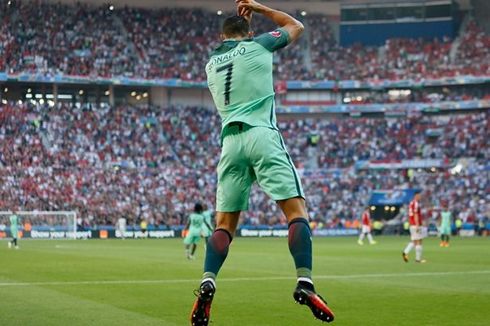 But for Ronaldo, he finally announced his arrival to the tourney and Portugal will certainly need him at his best going forward. 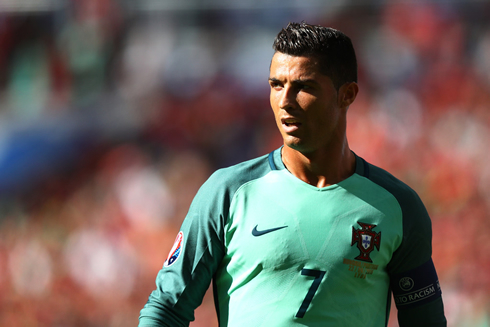 Cristiano Ronaldo next game with Portugal is for the EURO 2016 on June 25 of 2016, against Croatia. You can watch Juventus live stream, Croatia vs Portugal, Italy vs Spain, Wales vs Northern Ireland, France vs Ireland, and Germany vs Slovakia, all matches provided from our soccer live EURO 2016 game pages.